The Canon Rebel XTi and the Nikon D3000 are both digital SLR cameras that will let you capture high resolution images in a variety of environments. Both cameras are similar in style and features so how do you know which one is the better one? We have made a list of the main features of both the Canon Rebel XTi and the Nikon D3000 to see which camera comes out on top. The Canon Rebel XTi is equipped with 10.1 megapixel CMOS image sensors and DIGIC 2 image processors to let you create high resolution photographs. 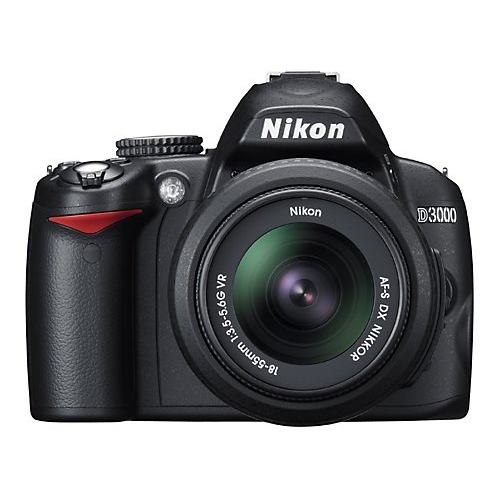 The Nikon D3000 has 10.2 megapixel image sensors and Nikon’s EXPEED image processors. Both cameras give a high quality image with sharp colors on an average sized photograph up to a size of around 18 by 24 inches. The image sensors on both models are not powerful enough to give you extra large high resolution photographs. Both the Canon Rebel XTi and the Nikon D3000 are compact digital SLRs that are a great size for taking on trips. Both cameras are a similar size with the Canon Rebel XTi measuring 3.7 by 2.56 by 5 inches and the Nikon D3000 measuring 3.8 by 2.6 by 5 inches. Both models weigh around the same with the Nikon D3000 being a little lighter at 1.18 lbs compared to the Canon Rebel XTi which weighs 1.23 lbs. The two cameras are compact and light enough for carrying around all day. Both cameras have a 3 times optical zoom and an 18 to 55 millimeter lens. The two cameras both have a 30 second shutter speed and a continuous shooting speed of 3 frames per second. 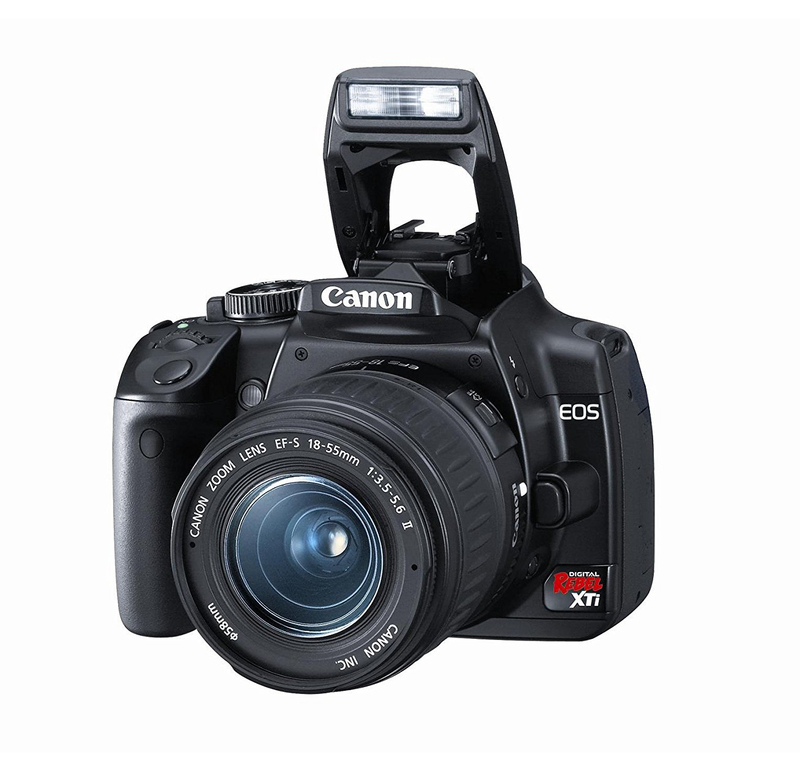 The Canon Rebel XTi has a 9 point autofocus compared to the Nikon D3000 which has an 11 point autofocus to help you get higher quality images. Both models have settings to let you take the best possible shot for your lighting and subject. The Canon Rebel XTi and the Nikon D3000 are both easy to use cameras that are ideal as an introduction to the world of digital SLRs. The Nikon D3000 comes with added image stabilization technology to help you get all your images in focus, something that the Canon Rebel XTi doesn’t have. The Nikon D3000 also has the benefit of image editing features that let you perfect your images after you’ve taken them without the need for a computer. The Nikon D3000 has a 3 inch LCD monitor compared to the Canon Rebel XTi which has a 2.5 inch monitor. After looking at the Canon Rebel XTi and the Nikon D3000 we think the better camera is the Nikon D3000. While both cameras deliver similar results the Nikon D3000 has extra features that make it easier to use. The Nikon D3000 is an ideal digital SLR for beginners and allows you to take professional style photographs that can be easily retouched on the screen.